The Englishman and I were recently in San Francisco/Napa/Sonoma to tour some potential wedding venues and visit our favorite friends who live in the city. On our first night there, we ventured down to the Mission District to dine at Lot 7. Lot 7 is a seafood restaurant that specializes in small plates and a menu that seems to be pretty seasonal. Since our group of 4 was game to try a bunch of different things, we decided to order a few dishes and share amongst the table while enjoying a delicious bottle of Chenin Blanc (I wish I could remember the name). 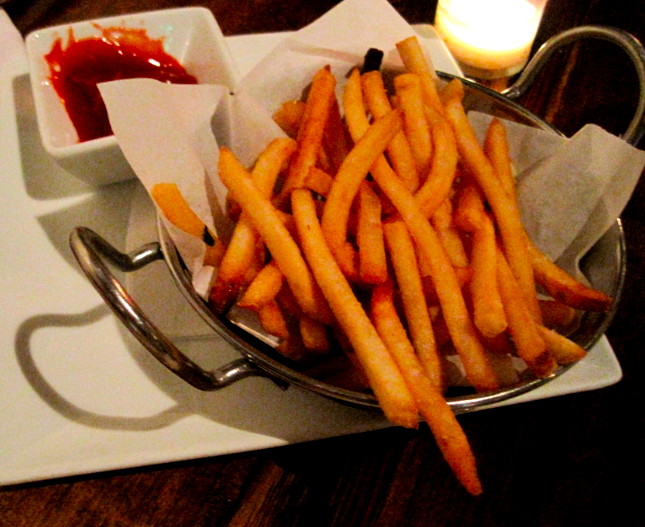 No meal is complete without some french fries, so we started with a dish of those. They were good, crispy and nicely salted. Of course, these don’t hold a candle to the truffle Parmesan fries that I had at El Dorado Kitchen the following day, but they were still nice. Next up was the Yellowtail Carpaccio, which was thinly sliced yellowtail served with radish and cucumber. The fish was light and you could taste the freshness in each bite. After the yellowtail, we dug in to a couple of salads, the first being a Smoked Trout Salad. I was a bit skeptical of the smoked trout (I generally don’t like smoked fish), but this salad was incredibly flavorful and delicious! It came with potatoes and a fig vinaigrette, and I found myself going back for seconds and thirds of the salad. 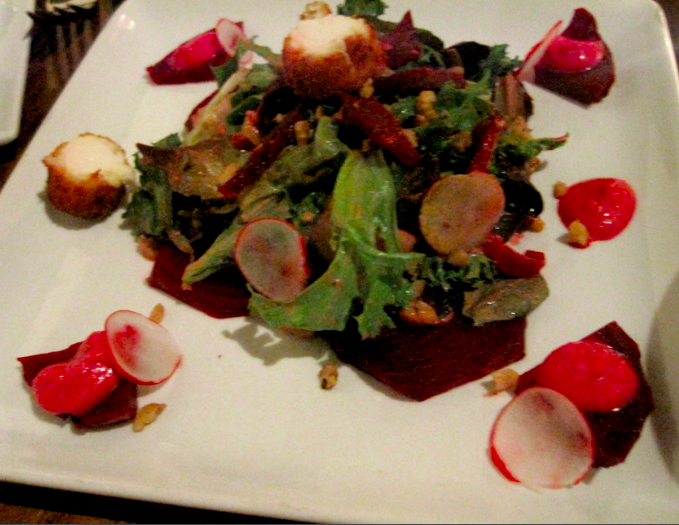 The other salad we dined on was a Goat Cheese and Beet Salad which was topped with a delicious fruit vinaigrette. Unfortunately this salad also came with walnuts (which was not on the menu), and since I am allergic, I could only really eat a bit of the goat cheese and beets and had to avoid the rest. 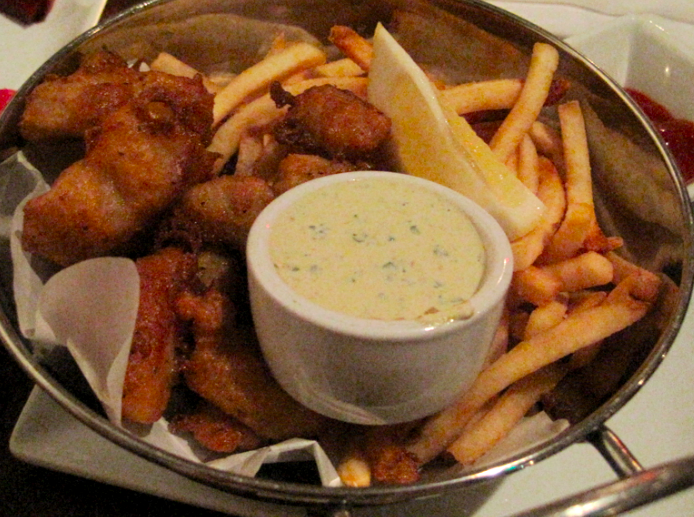 Last but not least was the Beer Battered Fish n’ Chips which came with beer battered cod and of course more french fries. I really liked the batter that the cod was fried in, and the Englishman (who has high fish n’ chip standards) also enjoyed the dish. We were seriously considering dessert, but the waitress told us there was only 1 dessert left which didn’t sound too tempting so we decided to pass. Overall, I really enjoyed Lot 7. The service was a tad on the slow side and I was disappointed that they ran out of menu items before the evening was over, but the food was solid and the restaurant had a nice vibe to it. I don’t know if I would come back since there are so many other places I want to try in the city, but if you are a local, it’s a good place to have in your rotation. On a completely unrelated note, if you ever make it up to Sonoma (downtown Sonoma specifically), be sure to visit El Dorado Kitchen and have some of their truffle Parmesan fries. Life changing, I tell you. This entry was posted in San Francisco, Travel and tagged Lot 7 san francisco, seafood, tapas, travel on December 16, 2012 by allie@sweetpotatobites. 1. Football Season – I do love me some football season, and with my uncle coaching with the Chargers this year, you can bet I’ll be making my way to San Diego for a few games. 2. 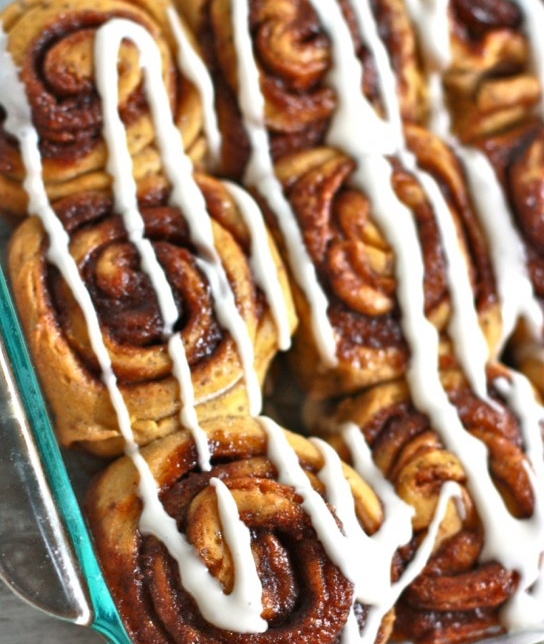 Pumpkin – It’s true, I love all things pumpkin including pumpkin spice lattes, pumpkin candles, pumpkin bread, pumpkin oatmeal, and these decadent looking vegan pumpkin cinnamon rolls I found on pinterest. 3. Fall Clothes – Boots, jackets, sweaters, colored jeans, etc. I am determined to get a new pair of black boots this year and could use a few more pairs of colored denim, even though I have been wearing my red denim jeans to death this summer. 4. Wedding Planning – After becoming engaged in July, the rest of the summer was a bit of a whirlwind with a very busy schedule at work and fun travel to Colorado. 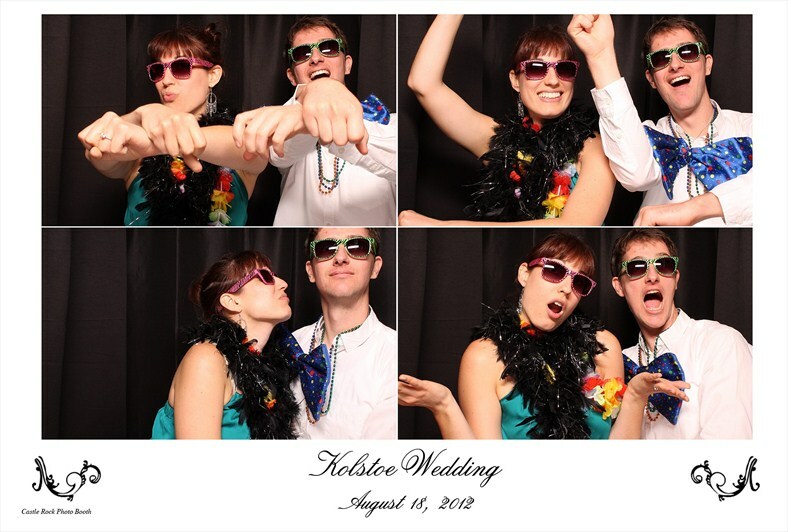 Things will hopefully slow down a bit in the fall which will give me a chance to finally focus on some wedding things, like finding a wedding photo booth because that was way too much fun at the wedding last week. 6. Other fall travel – I’m hoping to take a few road trips this fall and possibly a trip out to Vegas if the mood so strikes. 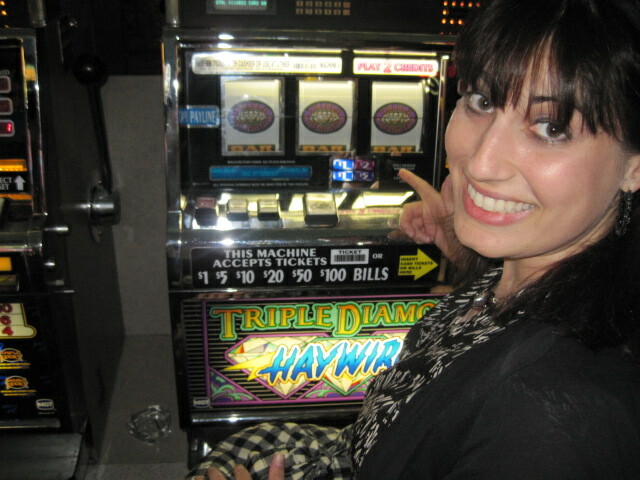 Last time I went was when I won money on the slots, so clearly this must be repeated. 7. Comfort Food – I do love the food that comes with fall – warm soups, casseroles and other hearty fare. 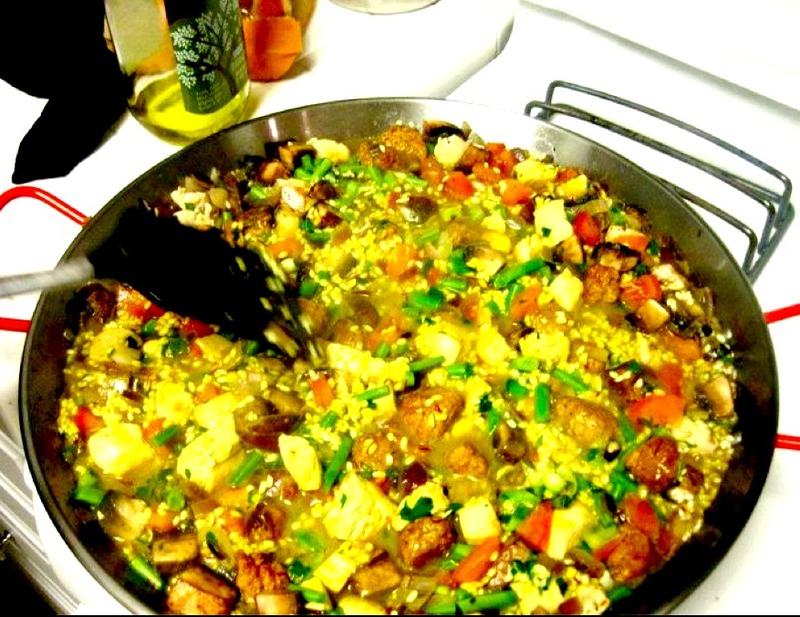 Perhaps I can convince the Englishman to make his chicken, eggplant and pork paella again. 8. Moving – Can’t say too much on this one yet, but if all goes to plan, the Englishman and I will be moving this fall (fingers crossed). This entry was posted in Best Of, California, Cooking, Life, San Francisco, Travel and tagged cinnamon rolls, fall, paella, pumpkin, wedding planning on August 25, 2012 by allie@sweetpotatobites. San Francisco is one of my favorite cities in the US to visit. It’s a quick hop, skip, and a jump from Orange County so I try to get up there as often as I can. One of my close friends recently moved up there so I figured it was the perfect chance to plan a quick weekend getaway to see her. One of the best things about San Francisco in my opinion is the food. The city prides itself on using fresh, locally grown ingredients and it definitely shows. The coffee you are enjoying with your breakfast most likely came from the coffee shop down the street and the vegetables with your meal are from the local farmer’s market. On this trip I wanted to try some different restaurants that I haven’t been to before. As much as I love Fisherman’s Wharf or Union Square, I wanted to go off the beaten path and eat what the locals eat. Luckily, my friend and her boyfriend are foodies so they knew exactly where to go. 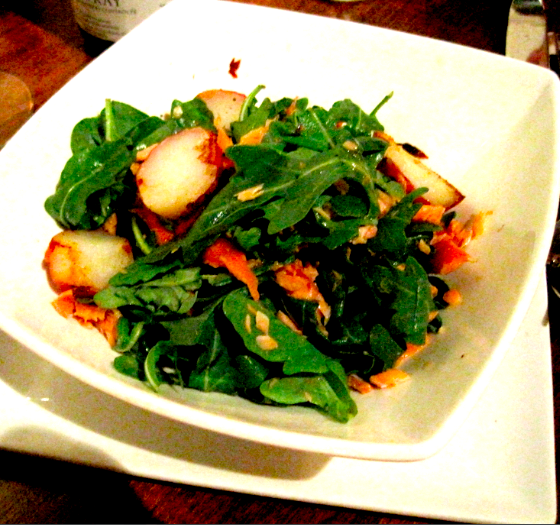 Our first culinary adventure was on Friday evening at Beretta in the Mission District. The restaurant/bar is all small plates, so you order a variety of different items to share. And share we did. Highlights for me included the Eggplant Capionata with Burrata Cheese (I die), Bruschette with Broccoli Rabe, Winter Greens with Persimmon and Pomegranate and Proscuitto with Arugula Pizza. I was too busy stuffing my face with all of the food goodness to take pictures, but trust me it was amazing. 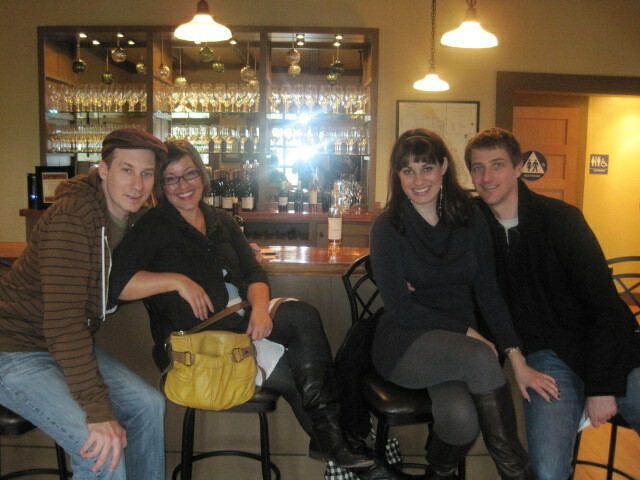 Saturday was spent in Napa, which really means that the main meal of our day consisted of vino, vino, and more vino. If you are ever in the Napa/Sonoma area, be sure to check out Anaba Wines – my personal favorite of the trip. 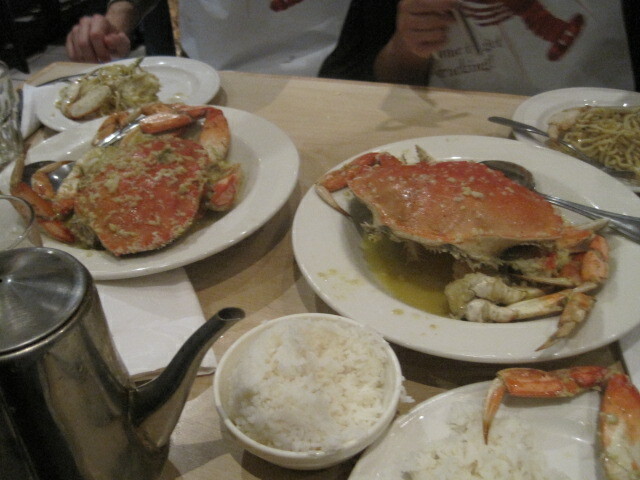 ﻿﻿By Saturday evening we had only one thing on our mind: Dungeness Crab. Dungeness Crab just happens to be in season in San Francisco, so we made our way down to PPQ Dungeness Island for a truly epic crab feast. I should have known we were in for a treat when I saw the line out the door. After an hour of waiting with our mouths watering, we were finally seated. And the feasting began. Roasted Crab with garlic and butter and garlic noodles. The picture below does not do it justice. Delicious crab, rice, noodles, and tea. A carb-lover’s paradise. While this certainly wasn’t the most healthy meal of the trip, it was truly delicious. Every time you cracked open a piece of the crab the meat inside was tender and full of flavor, and the garlic noodles were the perfect accompaniment. There was a fried banana ice cream thing served at the end of the meal, but I was too full of delicious crab to really even care. Well played PPQ Dungeness Island. Other culinary highlights included Savor and Toast, two delightful breakfast joints that we dined at in Noe Valley, as well as famed bakery Tartine, where some delicious shortbread and pumpkin bread was consumed. Before we knew it it was time to head back down south, but not before grabbing a few Ghirardelli chocolates on the way out. Thanks San Francisco for the very memorable eats (and drinks). I have a feeling I’ll be dreaming of Dungeness Crab for a long time…. 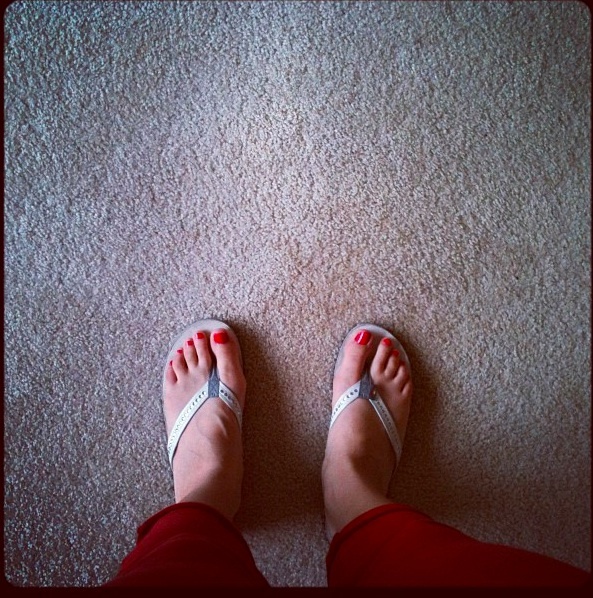 This entry was posted in San Francisco on December 7, 2010 by allie@sweetpotatobites.